These are my final predictions for this year’s Academy Awards. With a crazy year like this (and I mean it, crazy), instead of just picking a winner and a spoiler, I will rank all the nominees per category. Anything could happen, anyone could win (well, maybe except Original Song, but more on that later). I’ll work my way from the shorts, tech categories, and then to the major categories. Four films about children in terrible situations. Would that benefit Marguerite, being the sole nominee about the elderly, or will Skin prevail given its timely subject? Like in the case of Live Action Short Film category, four of these films are harrowing films, from disturbing (A Night in the Garden, Black Sheep) to downright heartbreaking (Lifeboat, End Game). With that, I think Period. End of Sentence. will stick out. What else to say? Bao seems to have the most exposure from these nominees. Being a Pixar film helps in this category. This might be Vice’s only solid chance for a win. Assumed frontrunner Black Panther wasn’t even nominated here. Would the love transfer to Avengers: Infinity War or would First Man prevail in a trend that hinges towards Best Picture nominees as well as contenders that didn’t make it to a nomination? I believe Ruth Carter is bound to make history as the first African-American winner in this category for Black Panther. Otherwise, perennial favorite Sandy Powell might just take another Oscar for The Favourite. I’m changing my predictions at the last minute and say that The Favourite trumps over Black Panther. I think this is the only chance where they could reward A Star Born, and the Academy does not have much reason to miss it. Finally, Lady Gaga would be an Oscar winner already. Total tossup. When the clear frontrunner and favorite to win is not even nominated (that snub for First Man still hurts; Justin Hurwitz is a genius), and the selected films all have things going for and against them, this is where surprise usually happens. Only once has the winner come from a non-Best Picture nominee since the preferential ballot (and that was the music legend Ennio Morricone). With that, who to pick? I’ll go with the score that has passionate supporters, but I’m still not sure. Another place to honor Black Panther. Otherwise, it’s A Quiet Place or First Man. Not Bohemian Rhapsody, I hope. 4. Bohemian Rhapsody – if this wins (sigh) it could win Best Picture too. Oh, gosh. Win # 1 for Bohemian Rhapsody. Or maybe Black Panther. 5. Roma – if this wins, it also wins Best Picture. Win # 2 for Bohemian Rhapsody. It pains me. Vice has a chance given this category tends to go with Most Editing, but yeah, let’s call it a win for Bo Rhap. 5. Green Book – if this wins, it also wins Best Picture. ASC aside, this is Roma’s to lose. SPOILER: Cold War – if this wins, Roma won’t win Best Picture. Roma should win this in a heartbeat, given the over-all support and exposure it has within Academy members, as proven by its ten nominations. But yeah, Cold War is a legitimate threat. SPOILER: Poland – Cold War – if this wins, Roma’s chances for Best Picture win is narrow. 3. Japan – Shoplifters – remember when Japan surprised a win in 2008? It’s a battle between the big-screen experience (Free Solo) versus the timely subject (RBG). It’s good that Pixar is getting Animated Short because Spider-Verse is taking this one. The nomination was the hurdle; it would be a true shocker if it doesn’t win. Congratulations to Spike Lee for his first ever competitive Oscar. WINNER: BlacKkKlansman – if this doesn’t win, then the film stands no chance winning Best Picture. SPOILER: Can You Ever Forgive Me? Common sense would most probably dictate that Green Book’s well-beloved status will push it for a Screenplay win, but with a screenplay so showy and undeniable as The Favourite, I don’t know. Aside from the questionable Argo win (in Adapted, nonetheless), Screenplay categories don’t usually default with the assumed frontrunners unless those are also writing heavyweights. SPOILER: Green Book – if this wins, then it’s on its way for a Best Picture win. 4. Roma – if this happens, then it also takes Best Picture. The only acting category that was swept by the frontrunner. SPOILER: Richard E. Grant – Can You Ever Forgive Me? If Supporting Actor is crystal clear, this one is still up for grabs. Two lead performances, two de facto frontrunners and two potential surprise winners. Oh, dear. Win # 3 (or 4) for Bohemian Rhapsody. After seven losses, Glenn Close finally wins an Oscar and she deserves it based on the performance alone. Piss off, haters. If anyone aside from Cuaron wins this, Roma’s not winning Best Picture. You can make a case for the top seven nominees (sadly). All of them benefit from the preferential ballot. Therefore, the rankings in every Oscar ballot matter. We’re here now, so let’s take a dive. You know what? I also question that ranking. Who knows who will win? 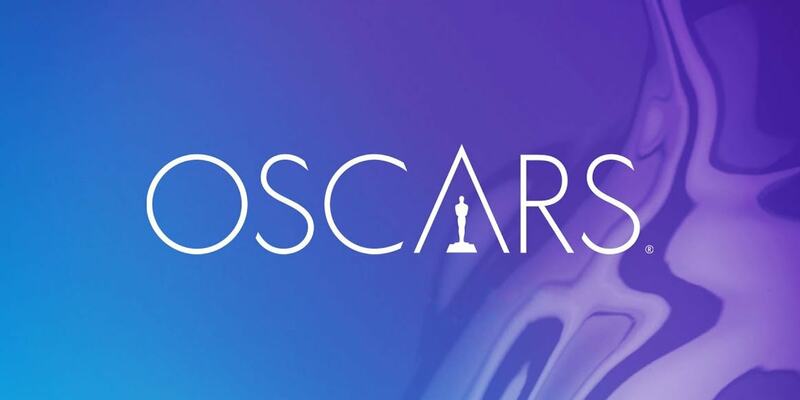 This entry was posted in 2018 Oscars and tagged 91st Academy Awards, Final Predictions by Juan Carlos Ojano. Bookmark the permalink.